Nearly 14 percent of the children aged up to 15 are raised by a single parent, an international study shows. Most of the single parents are moms and they face some unique challenges. If you’re trying to be everything that your child needs and you’re alone, you know these challenges really well. It’s a fact that the children of single parents may have bigger struggles than others. Some studies, however, show that they usually grow up to be more responsible than their peers. Being a great single parent is possible but it can be draining. Providing for the family, being there for your child, dealing with stress and loneliness will definitely get to be too much on occasions. This is why you need to familiarize yourself with the best techniques for coping with the challenges of being a single parent. Single moms and dads have to deal with various issues that couples raising children don’t experience. Scheduling: as a single parent, you’ll have to be in five different places at the same time. Even if you have one child, you know that scheduling can be a big issue. Being a parent, working and finding the time to eventually date (dating, what was that?) will probably seem impossible at least until your kids turn 18. Dealing with the financials: as the only adult in the household, you’re the sole breadwinner. 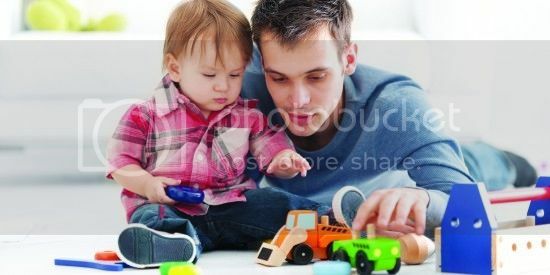 Raising kids and providing for them on a single income will require a lot of imagination and many extra hours of work. Being there for your child: in every sense that a parent should be there. Helping for homework writing, attending school plays, playing sports together, meeting with teachers to discuss problems, working on crafts projects – you get the picture. Dealing with loneliness and loss: the loss of a partner and the desire to have a significant other will always be your companions. While you’re feeling lonely, however, you’ll always feel obliged to be strong for your kids. Societal prejudices: these can make the life of a single parent much more difficult. Only single moms and dads know just how devastating prejudices and negative attitudes can be. Dealing with the rest of the family: your mom and dad, your siblings and extended family could be helpful but they could also add to the challenges of being a single parent. The same applies to your former spouse. Self-confidence issues: many single parents struggle with inadequacies and low self-esteem that prevent them from dating and enjoying romantic experiences with a potential significant other. The first step towards being a successful parent and a happy person involves changing your mindset. For a start, determine what your priorities are. These are the things you should be focusing on. Everything else is secondary. Don’t spend your time and don’t waste your energy on things that don’t matter in the long run. You’ll find yourself to be a happier person, once you set your priorities straight. Boundaries come right after priorities when it comes to changing your mindset. These are the ones that you should work on together with your kids. You deserve some “me time” to be a functional parent. Let kids know about your responsibilities and about theirs. Everybody in the household should have a role. Working on happiness and growth together is the best way to make it happen – you can’t handle everything on your own. The final and probably the most important thing to remember is that you deserve happiness. Don’t turn yourself into a martyr. Your kids will turn out just fine, even if you give yourself a break now and then or you go on a date. The sooner you start believing in those things, the happier and more productive you’re going to be. A support system: connect with other single parents. They are the only people who understand the challenges you’re facing and can give you adequate suggestions for making things better. Understand that you can’t do the work of two people: chores, work, helping kids – you can’t handle everything that two parents can. Once you understand that you can’t get everything done, you’ll start prioritizing the most important things. Consider a more flexible work schedule: the world is changing and you don’t need the nine to five routine. Many people are opting for telecommuting opportunities or a home-based business. By making this kind of change, you can continue earning enough while enjoying some flexibility. Slow down and relax: close your eyes, count to 10, do some deep breathing exercises. Relaxation techniques are essential for dealing with the stress when it gets to be too much. Celebrate the successes: give yourself a pat on the back every now and then, you deserve it. Allow your parents to help you: we’ve already talked about super-parent syndrome. You don’t have to be strong and efficient all the time. Let your parents know that you’re struggling, they’ll probably love to help you. Discipline is essential: you may feel tempted to address every wish that your children have in an attempt to compensate for the lack of two parents. Don’t underestimate the importance of discipline. Set house rules and stick to them strictly. Discipline will make everybody’s life a whole lot easier. These shortcuts will definitely take some of the stress away. We have to be honest – it’s not going to get easy. Still, by focusing on change and structure, you can enjoy a happier life. Both you and your children deserve it. By the Couple Clinic, a company of Winnipeg marriage therapists (www.winnipegcouplesclinic.ca).